I came to Patagonia to tune out, clear my mind, hike, and learn to camp. I hate camping, though, and can count on one hand the number of nights I’ve spent in a tent. As an insomniac, I much prefer beds, hot water, and flush toilets. Even as a kid, when my friends and I went camping, I never enjoyed the experience — I only went to be with my friends. But I signed up for the Intrepid Patagonia tour (with fellow blogger Hey Nadine, no less!) as a way to ease myself into the experience again. 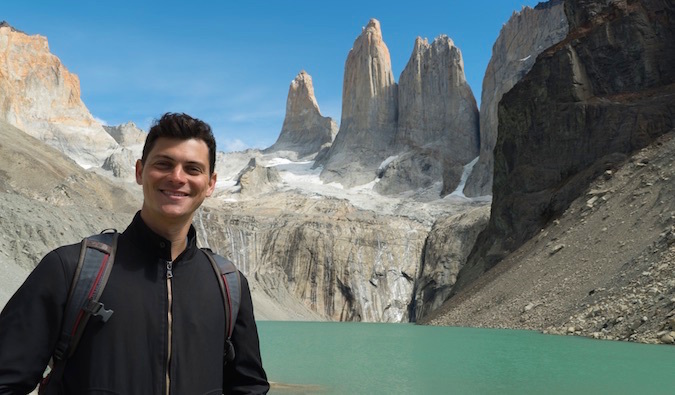 After a night in Santiago, my tour group flew down to Patagonia, where we geared up for the famous “W Trek” in Torres del Paine National Park. The park, founded in 1959, is home to tons of glaciers, glacial lakes, deep valleys, famous granite mountains, and beautiful pine forests. 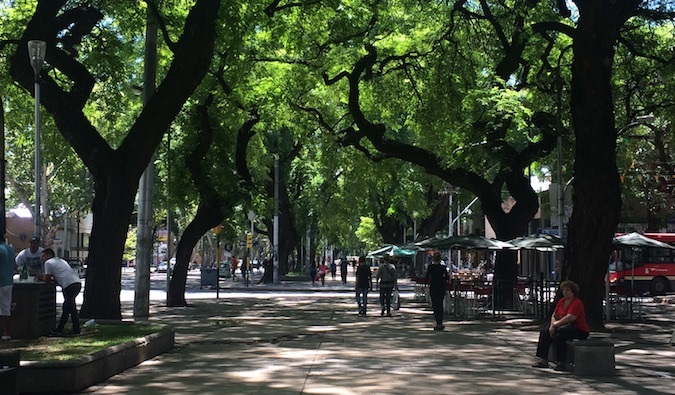 More than 100,000 people visit each year, making it one of the top destinations in South America. The W Trek is so named because it follows the natural formations of three valleys, thereby forming a W shape. It’s the most popular circuit in the park, as it hits all the major sights: Glacier Grey, the French Valley, and the picture-perfect Torres Towers. As we approached the park on the first day, giant gray mountains rose high above us and a cloudless blue sky stretched to infinity. Everyone on the bus gave a collective gasp. While our guides stopped to get our camping and hiking permits, we piled out for photographs. The crisp air, grass waving in the wind, and sheer mountainsides made me excited to get connected to nature again. The paved road then became dirt, and the bus — lacking any shocks — jostled us like a carnival ride. After a choppy ferry ride, we arrived at Paine Grande camp, our home for the first two nights of four days of hiking. Instead of doing the W in a continuous line, we would hike two portions from this camp, doubling back each night to rest our bones. We dropped our bags and set off on the first trek, to Glaciar Grey, so named for its gray hue produced from light being reflected by the soil and the dirt it smashes and carries as it proceeds down the mountains and into the lakes. Behind us was Lake Pehoe with its deep, crystal blue water. The wind picked up and we came to a lookout point high above Lago Grey. Battling gusts that kept pushing us off balance, we took photos of the glacier before scrambling down from the lookout. After a quick snack among the rocks, we stepped back on the path, and the wind died down as we descended into the pine forest. My last experience setting up a tent, on a trip to Africa, didn’t go well: I couldn’t get my tent poles to arch and often seemed to have one left over. Now, I was hoping for some practice when we got back to camp, so I could reduce my tent-pitching time from 30 confused minutes to something more reasonable. Alas, it was not to be. When we returned to Paine Grande hours later, it turned out the camp handlers had set up the tents for us! After dinner, we retired. I can see why our ancestors of yore were the “early to bed, early to rise” types: when there’s no power or light, there’s not much to do. But as an insomniac, it’s hard for me to sleep in a normal bed, let alone a tent. With the temperature dropping, the wind whipping, and only a thin mattress pad underneath me, it took me hours to fall asleep. When my eyes finally closed, I wondered if I would ever have it in me to fall in love with camping. The next morning, we woke to a warm and clear day. On our 22 km hike through the French Valley, we ascended through burned forest, across rivers, and along a valley before arriving at Glaciar Francés. There, melting ice came crashing off cliffs like intense thunder. We stood in the glacier’s shadow, eating lunch and waiting to spy the cracking ice. We would hear the boom and hope to quickly spot the ice and snow cascading down the mountain. We stayed an hour before descending but looked back at the sound of each new crash, hoping to catch just one more glimpse of the glacier’s ice falling. Back at camp that night, the temperature was colder, the rain came pouring down, and the wind whipped so hard it blew part of our tent down, causing Nadine to scramble out and pound the poles back in with her hiking shoes. I wondered how people got used to this. There would be no sleep for me for a second night in a row. The next day, the rain continued as we made our way to the ferry taking us to our final camp, Refugio Las Torres. There wasn’t much hiking that day, and as the wind blew and rain came at us sideways, I was glad I had called ahead and booked a dorm bed in the campground’s hostel. After two nights in a cold, wet tent, I needed a change. 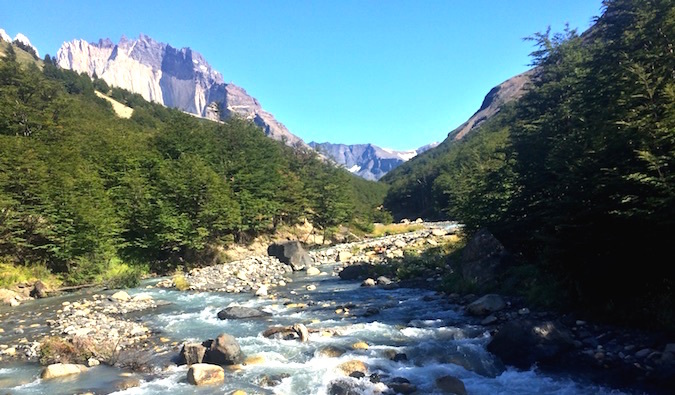 Patagonia was beautiful and the relaxing break I needed, but I also needed sleep — and I wasn’t getting any. But in bed that night, it was as if I was sleeping on a cloud. I was warm and comfy, and even the loudest snorer in the world in the next room didn’t ruin my sleep. I realized then that I am a camping wimp and that staying in a tent is not for me. Maybe I should try glamping. As much as I love the outdoors, I also love beds and hot showers! On the last day, we set out to tackle the park’s most famous hike: the 22km round-trip to the Torres Towers, one of the most difficult I’ve done since the 20km Tongariro Crossing in New Zealand. 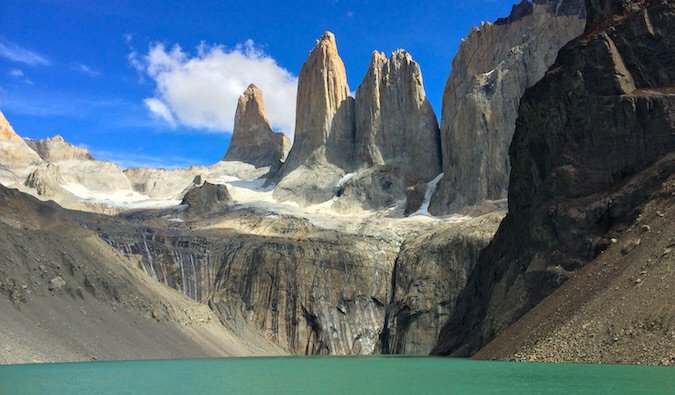 But these three towers set on a glacial lake are picture perfect, with their granite, ice-covered spires set above an aquamarine lake. I could swear it was a photo used as computer wallpaper. After my group ascended to the top of the lookout, ate lunch, and started the descent, I opted to stay longer. I wasn’t ready to leave. Two hours later, as the clouds rolled in and the wind picked up, I finally began my descent back to camp, the last to leave the viewpoint. The time I spent there allowed me to clear my head, still my mind for a moment, and enjoy the present — something I hadn’t done in a long time. As we headed out of the park the following day, I was thankful for the trip. Being offline and in nature was a much-needed mental break, and Patagonia was one of the most beautiful places I’ve ever been to. It’s one of those locations on earth that makes you realize how small you are and just how grand and significant nature is. Camping may not have won me over, but nature always warms my heart and brings me perspective. 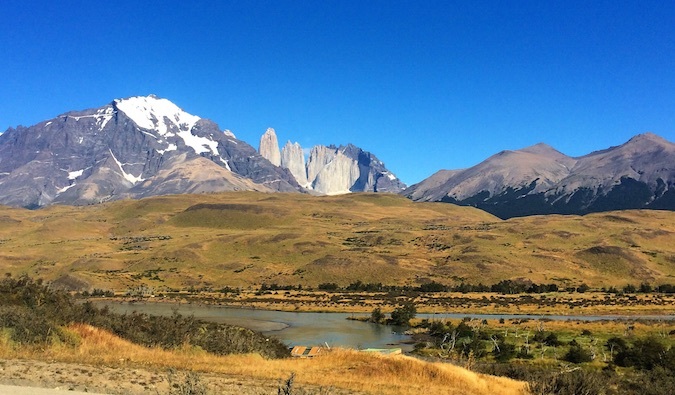 To get to Torres del Paine, you can take a tour or head down on your own by going from Puerto Natales, Chile, where buses leave regularly and drop you off at the ferry to Paine Grande camp or the camp gate itself. The park is easy to explore, but as someone with little camping experience, I was glad to have a guide who knew the trails, gave us a history of the park, and added information and facts about the flora and fauna. You don’t get that when you’re alone! If you’re like me and not big into camping, I suggest a tour! Note: I went on this trip in Chile as part of my ongoing partnership with Intrepid Travel. 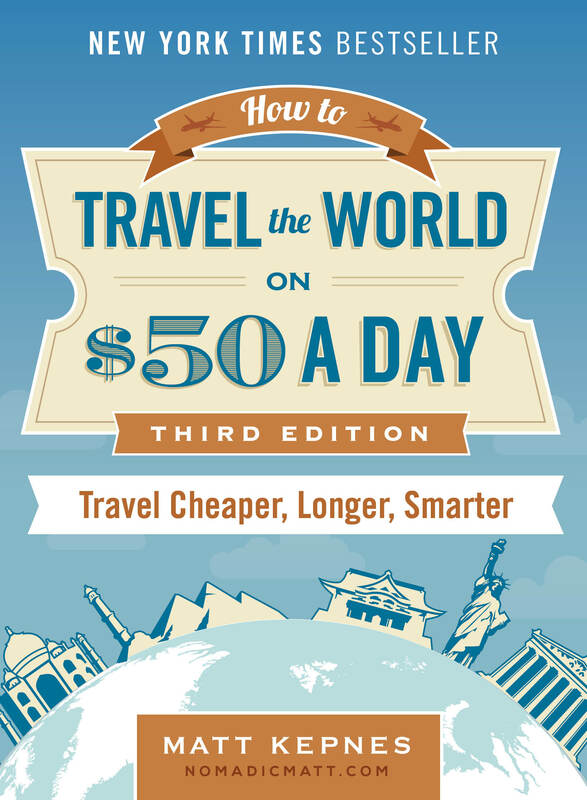 They covered the cost of this tour and any additional costs during the course of the trip. I received no money for going on this trip. Wow, I’d love to witness the ice breaking off of a glacier, that must be truly magical. Torres del Paine doesn’t sound like the easiest place to hike, but I guess it’s all worth the beauty and the unspoiled landscapes. Can’t wait to go one day. We loved doing the W Trek. You definitely don’t have to camp, though. There are lodges (hostel style) at each section of the W where you can rent a bed in a shared room, take hot showers, enjoy a warm meal and even grab a drink from the bar! We camped only one of our nights — and we love camping — but I have to say, a warm bed at the end of a long hiking day is pretty great. omg Matt these pictures are amazing! I definitely have to go there some day. Patagonia is absolutely stunning! All travelers should consider going there to hike in some of the worlds most untamed wilderness. Cannot wait to do this hike Matt! Glad you had an amazing time! great post keep up the good work. This looks stunning and nice to see you challenging yourself with the camping. I think it’s important as a traveller to do this every now and again, if you figure out it’s not for you then at least you’ve given it your best shot. Good on you! very, very cool article, matt… please keep them coming. 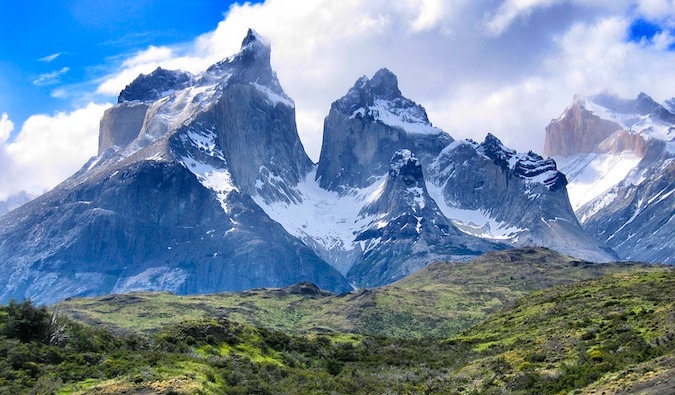 I am from South America but have never visited Patagonia…it is on my list. Like you I am not a lover of camping, but for views like this I would happily do camping. Oh how I love Patagonia, best place in the world to go off the grid! Aah yes, Patagonia is such a wonderful experience for hikers and climbers. Very similar (both the experience and surprisingly also the pics) to the Mount Fitzroy area a bit more north. I’ve been around there myself, staying in El Calafate and El Claltén, the latter being an excellent base for hiking the surrounding mountains. Highly recommended! OMG that place looks so unreal!! Your shots are amazing! Cool post Matt. Glad you were able to finally get some sleep. Your trek sounds incredible! It must have been an epic experience to witness ice breaking off the glacier – i’ve seen it in ski resorts but it’s more terrifying than beautiful! I read your post because of the camping angle – I’m about the head to Africa on a 6 weeks overland camping trip and am not a camper. I had hoped you were going to say that everything was fine and it was great – but the rain, wind and lack of sleep seem to be contrary to that! I really hope I fare a little better… 6 weeks is a long time! I’m with you Matt,camping is for kids.I want a roof & warmth at night.I once spent 5 nights in a pup tent in the rain,but I had no choice,I was in the US Army-never again. The park is gorgeous and there are definitely amazing views to be had. I am with you on the camping, though. We camped for 6 nights, 7 days, doing the W plus two extended day hikes (from Administration to Paine Grande and from Grey to Paso and back). 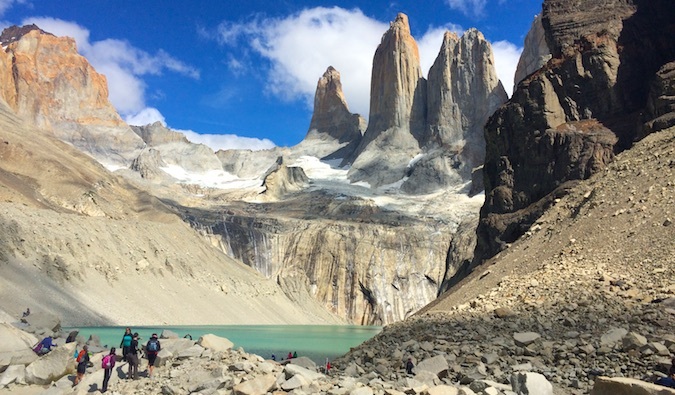 The hiking, with the exception of the ascent to the Torres, is not particularly challenging. What’s tough is doing it on zero sleep for several nights: wind, rain, snow (multiple inches), mice, and inexplicable screaming and loud music from the park ranger huts. TDP is not a place to go “be alone” in nature; you are surrounded by humans and evidence of human-related environmental degradation at every campsite. We went in shoulder season (April)…I shudder to think what the park is like during peak season. It’s definitely a worthwhile destination but don’t go with any illusions of pristine, untouched, untamed nature. This is on my bucket list! I’ve camped in Africa for 110 while on an overland safari, so I’m fine with the camping part but camping and hiking sounds little more challenging. Great post! We are keen to explore Patagonia and we did try to book a trip via intrepid with your discount code. However this seems not to work. Is this because our departure will be in 2017? Oh my, this looks absolutely spectacular! I love the first photo of your post. Gorgeous photos and helpful post. Were your feet destroyed with blisters by the end? Thats a lot of kilometres, mine sure would be. I went there on a solo hike in 2012, and it was breathtaking. I don’t mind camping, but appreciated the one night we got to sleep in a dorm as well. The weather was very windy when we went, making sleeping outside and setting up tent a challenge. I am aiming to go in Feb but I’m faced with some concerns. I’m worried about a few steep hikes I’ve heard about and tricky cliffs; so in your opinion, would you say this is a trip for a semi beginner hiker? I did Peru in May and I did all but 2 climbs and it was the steep steps that did it for me. I love semi flat land hiking. Thank you all, for anything you can share. Great post. Next time when I´m in South America, I defiantly go there. And yes – Camping is fun, but not at all when it`s raining. Love your article and the beautiful pictures! 🙂 I’ve been there 2 weeks ago and unfortunately the weather wasn’t that good as you had it. Before I did the ‘W’ trek I read this post and the one from the link you made for Breakaway Backpacker. Both posts were very helpful. I did the camping as well and found the weather a big challenge. I was glad that I rented a four season tent, becuase of the high winds. This year(2017) the reservation system changed and has now become a bit more complicated. You now must reserve the free campsites. So my advice is to book months in advance if you go in the high season. Thanks Matt! This is an amazing place to see im Chile! I am from Chile but still have not visited this place, found this article as I searched for information about it. Great tips and thanks for sharing!